IQinVision are one of the largest and most progressive technology companies in the USA, but what is the secret of their success and where did it all start. In a frank interview with Ian Johnston, Integrated CCTV find out all the detail on how IQinVision has become one of the biggest names in the security industry. 1. Ian, what is your role within IQeye? 2. IQinVision is a well established company now but how did it all start and who was behind the company formation. – We were established more than 12 years ago out of an Engineering Design services firm called Gordian. Our current President and CEO, Peter DeAngelis, was one of the founders of IQinVision. I personally have been with IQinVision for almost 5 years now. IQinVision is the oldest company in the very new, exciting industry space of megapixel technology. We are known as a company of technology “firsts”. Please visit our website to view our full full range of technology achievements. 3. You have just exhibited at ISC West and you featured your now complete Alliance line of dome cameras. What are the main features and benefits of this camera and how was it received at the show? – The updated Alliance-pro uses cutting edge encoding technology to provide high quality H.264 encoding at high resolutions. 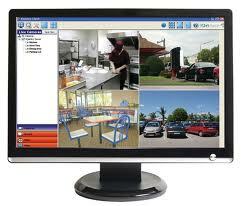 It also offers many features such as multi-stream video and on camera recording. This camera is offered in true day/night as well as a rugged IP66 rated outdoor version. – Our mid-tier dome, Alliance-mx bridges the gap for folks who need an outdoor vandal resistant dome that features a verifocal lens, but at a very aggressive price. It offers a full suite of H.264 resolutions and since it’s a true day/night camera, the low light performance of this device is outstanding. – The Alliance-mini is perfect for those who require a very small form-factor dome with stunning image quality. It’s also priced very aggressively and is offered in both a vandal resistant and standard configuration. So, IQinVision can now offer our end users a dome camera solution with the price point and feature combinations that fit all their specific needs. IQinVision also announced at ISC West, what we believe is one of the largest all-megapixel camera installations—the 3,200+ HD megapixel cameras installed in 336 buildings on 12 separate campuses throughout the state of Texas for their Department of Aging and Disabilities. 4. Will you be at IFSEC this year if not what is your marketing strategy here in the UK? – IQinVision will be exhibiting at IFSEC with a stand in Hall 4, space F143 and is a finalist in the Security Project of the Year category of the IFSEC Security Industry Awards. We have been participating at IFSEC for a number of years and the level of our business in EMEA continues to grow nicely. IQinVision will continue to build key partnerships and relationships throughout Europe, the Middle East and Asia to support our growing business model. In 2011, we expanded our advertising, support, education and training programs and will continue to do so in 2012 in conjunction with an increased focus on our vertical markets. 5. Who are your nearest competitors ? do you try to beat them on price, quality or both? – Our largest competitor is Axis and we beat them both on price and quality. 6. IQinVision seems to be very forward thinking. What are your plans over the coming year and do you have any new products being released here in the UK? – Over the coming year, we will be extending the resolutions of our product line up to 10 megapixels H.264. We are also adding focus assist features to all of our higher-end products. 7. NEW IQsentry VMS looks like a great product but is this an expensive piece of software? – We’ve worked very hard to make it available at a price point our end users can readily afford. 8. We have asked others their opinion on this but will a megapixel camera replace a dome PTZ camera? – Yes, it’s already happening. The two will continue to co-exist as they sometimes serve very different purposes, but it’s now possible for megapixel cameras to capture a much wider field of view and still see everything that you would see using a PTZ speed dome. 9. Can you run video analytics on your HD and megapixel cameras? – Yes, we work with quite a few analytic vendors to host their solutions on our higher-end devices. 10. VMS and servers are the future. Do your cameras integrate with third party software out there? Do you have a way of fully integrating with access control? – Yes we integrate and work seamlessly with all the major VMS players in the market today. We work with a few access control solutions and also provide a software solution called IQaccess ourselves. 11. You have been involved several projects but which one are you most proud of and why? 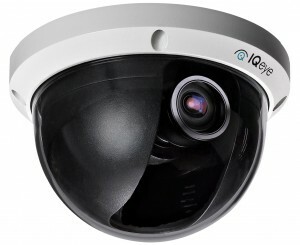 – We have thousands of cameras installed in many very interesting locations and we have IQeye cameras that have been running continuously for 5, 7, and even 10 years. While it’s difficult to choose one, the project I’m most proud of is the Texas Department of Aging and Disabilities. The installation comprises more than 3,200 H.264 HD megapixel cameras installed in 336 buildings on 12 separate campuses located throughout the state. The project was completed on budget and ahead of schedule and it is probably one of the largest all-megapixel camera installations in the world. 12. Finally can you give us 3 reasons why customers should consider IQinVision products over your many competitors out there? 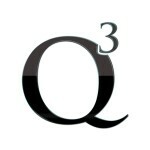 – Q3 is a symbol of IQinVision’s continuing commitment toQuality Engineering, Quality Service, and Quality Support. As one of the only IP camera manufacturers to design and engineer our full line of products, IQinVision ensures consistent camera quality through the thorough testing of each and every camera shipped, onsite at our San Juan Capistrano, California headquarters. As a result, IQinVision boasts a truly impressive 0.7% return rate and an unprecedented 0% out-of-box failure rate on our IQD3 and IQD4 cameras since shipping commenced April 2009. These rates have resulted in the newly established 5-year “bumper-to-bumper” warranty on the IQeye Alliance-mini dome camera line and 3-year warranty on all other IQeye cameras. In addition to extending our warranty, IQinVision has increased standard operations to include 17-hour live service, support and training, which is available in 7 languages: English, Spanish, German, French, Dutch, Japanese and Portuguese. Some great information and answers there as to why IQinVision will be a name we hear about more and more for many years to come so many thanks to Ian for his time . This entry was posted on Tuesday, May 24th, 2011 at 01:00	and is filed under IP cameras, IP CCTV. You can follow any responses to this entry through the RSS 2.0 feed. Both comments and pings are currently closed.